No words needed, except to wish all visitors to suns along the Mohawk a New Year fill with peace, prosperity and a little pizzazz. 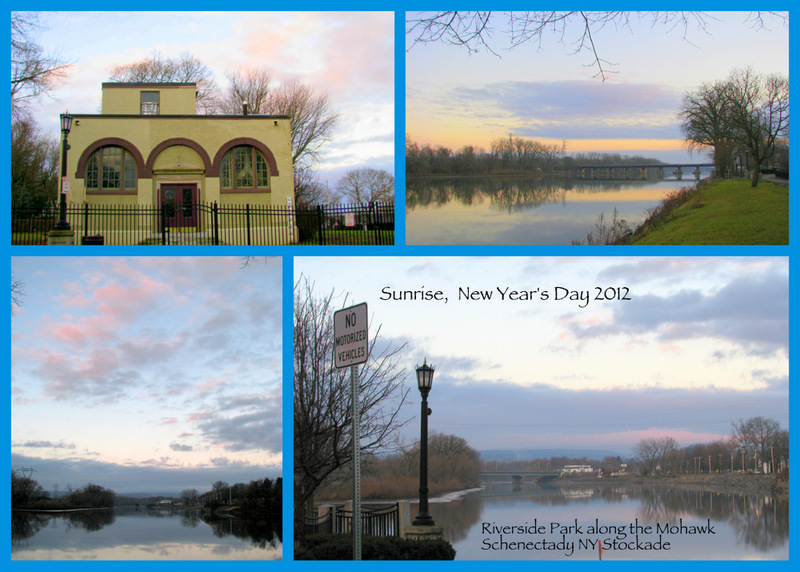 Here’s a slideshow of photos taken at sunrise, just past 7:30, New Year’s Day 2012, at Riverside Park along the Mohawk River, in the Schenectady Stockade. And, yes all the pink seemed to be in the western sky this morning. Many thanks and good tidings, Gail. Thank you, Helen. I’d be honored to have you do a painting inspired by one of my photos. I’d love to see the result, when you do.